Embraced Chaos: HEALTHY CHEF CREATIONS EXCLUSIVE GIVEAWAY. $100 VALUE! HEALTHY CHEF CREATIONS EXCLUSIVE GIVEAWAY. $100 VALUE! Good nutrition is essential during and after pregnancy. As an expecting or new Mom, imagine having nurturing, organic meals delivered to your doorstep. It's like having a gourmet chef in your kitchen catering to your specific tastes and needs. 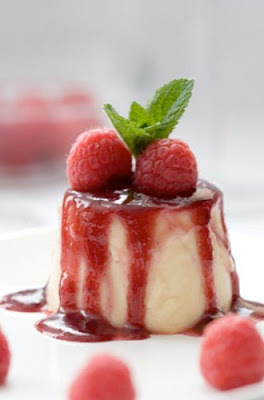 Experience the scrumptious taste of natural, whole organic foods prepared by award-winning spa chef, Chef Procacci. What a fabulous baby shower gift! In the Momilicious program, you receive breakfast, lunch, dinner, two snacks and a low-calorie mini-dessert daily. In addition, you get customization of dietary preferences, 100% quality and freshness guaranteed, easy-to-follow weekly menus, adjustable calorie control, nationwide delivery and nutritional coaching. The focus is proper daily nutrition for Mommy and baby, and the service cost is $49.95 per day. Healthy Chef Creations also creates healthy, delicious meals for the whole family. I've had the pleasure of sampling the tasty offerings. Choose from a varied selection including banana and flaxseed pancakes, organic acai fruit and yogurt parfait, portabella wrap, spa chicken salad, grilled filet mignon, and plantain crusted chicken with papaya salsa. One of my favorites is the Mediterranean Plate, an array of all-natural hummus, Turkish eggplant dip and fresh quinoa tabbouleh. Customize your menu for weight loss, allergies or dietary concerns including gluten free, dairy free, vegan and no salt. Healthy Chef Creations avoids artificial flavoring, pesticide-treated produce, coloring agents, chemicals, preservatives, hydrogenated oils, trans-fatty acids and refined sugars. Organic children's meals and baby food are also available. The meals can be delivered anywhere in the US. Then, just heat and eat! I love the convenience. The containers are microwavable and oven safe, and they come with easy-to-read instructions. They are delivered fresh on Friday and are guaranteed to stay fresh all week. Use the word, CHAOS, and get 10% off your next order! $100 gift certificate for the Momilicious program. Winner will revieve $100 value of healthy, organic meals delivered to you doorstep! That's two days of breakfast, lunch, dinner, two snacks and a low-calorie mini-dessert customized to meet your dietary needs. To enter, please visit http://www.healthychefcreations.com/. Come back and comment on an item that you would love to try. We also love to hear your feedback on the new Momilicious program. Please include a valid e-mail for winner notification. Giveaway ends at midnight on March 5, 2010. Please leave a separate comment for each entry, and include a valid email address with each comment for winning notification purposes! The winner is randomly selected via random.org and notified via e-mail. Winning name will also be listed at end of post when givaway ends. Winner must confirm within 48 hours, or a new winner will be selected. Please email embracedchaos@cfl.rr.com to confirm your winning status. Shipping addresses must be in the United States. 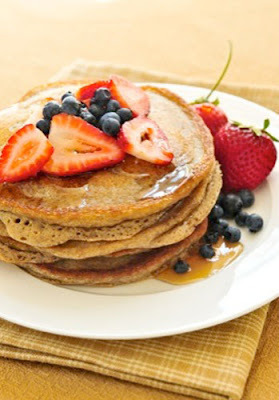 I would LOVE to try the flaxseed pancakes....LOVE the Momilicious program! I would love to try the roasted vegetable omelet. It looks to die for. The Momilicious program looks interesting. I think it's nice that Moms can save time by ordering their food from a place that's affordable and healthy. I am a Networked Blogs follower. I am a Google Friends follower. I would like to try the Spa Chicken Salad. New networked blogs follower - yay! 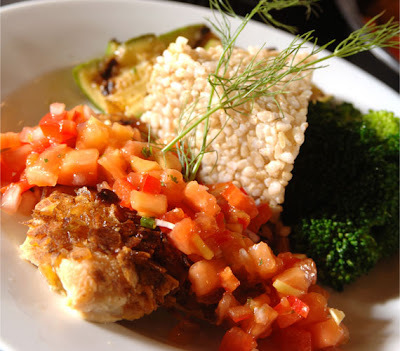 I would love to try the Greek frittata or the mahi mahi with mango! This seems like a great program but I wish there were a dinner only option. I would love to try the Chicken Pasta Primavera. I think this is a great and handy program. I would love to try the Lemon Basil Shrimp & Pasta....looks YUMMY!!! Wow it all looks so good, I think I would love the try the mahi mahi with mango! Yummy! cdziuba@aol.com The Grilled Eggplant Stack appeals to me. I would so love to try the Chicken Pasta Primavera! I'd love to try the Mediterranean chicken wrap! I would like to try the fruit of the season crepes. I would really love to try the Chicken Pasta Primavera! MMMM....WOULD LOVE SOME CHICKEN SALAD RIGHT ABOUT NOW! 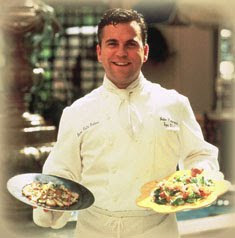 I would like to try the Italian Tuscany Salad. I am really curious about the Organic Sweet Potato Hash. That sounds awesome. The Italian tuscany salad sounds yummy. Thanks for the chance. I would like to try the Grilled Mahi Mahi w/ Mango Salsa. I would like to try fruit of the season crepes. The Momilicious Program is very helpful when time is limited-we're all so busy! I would love to try the flaxseed pancakes.. The Osso Buco sounds really good! Voted for you. Good luck! I would love to try the Fruits of the Season Crepes, thanks! I would love to try the osso bucco braised lamb. It is something i could never make myself and just seems so gourmet, like im treating myself. I also LOVE the no bell pepper option. I have never seen that before. I cant/wont eat bell peppers because they make me ill and I always worry about them sneaking into my food! I would like to try the Roasted Vegetable Omelet. And the Momilicious program sounds interesting. 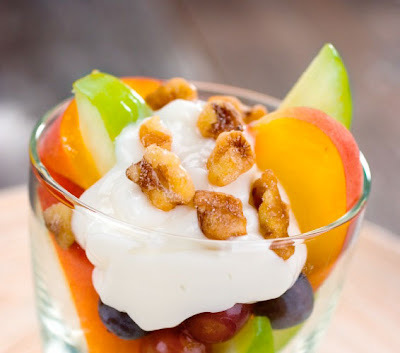 The Organic Acai Fruit and Yogurt Parfait looks incredible! Thanks for the great giveaway! The Organic Breakfast rice sounds yummy! Mediterranean Chicken Scallopini looks awesome! I'm following your blog in Networked Blogs. Would love to try their Banana and Flaxseed Pancakes. Hi--I stumbled across your blog today and am so glad I did! Have added it to follow! Probably not the best place to say this, but I had a really bad experience with this company unfortunately. The food safety practices are questionable at best (the owner told me that food is allowed to be held in the 'danger zone' temperature range for 6 hours!) and he does not maintain a high level of customer service at all. I was so excited to try it but ended up very very disappointed.